In a landmark judgment, the Supreme Court has held that a victim can file an appeal in the High Court against the acquittal without seeking leave to appeal. 1.Whether a ‘victim’ as defined in the Cr.P.C. has a right of appeal in view of the proviso to Section 372 of the Cr.P.C. against an order of acquittal in a case where the alleged offence took place prior to 31st December, 2009 but the order of acquittal was passed by the Trial Court after 31st December, 2009? 2.Whether the ‘victim’ must apply for leave to appeal against the order of acquittal? The majority answered the first question in the affirmative and second question in the negative. 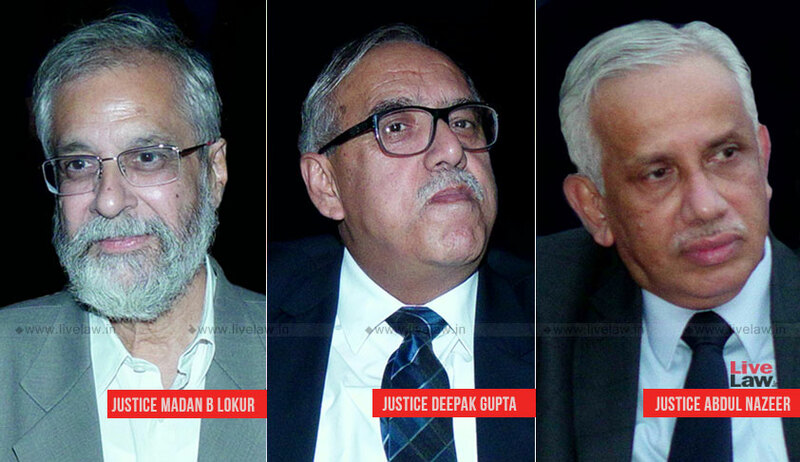 Justice Deepak Gupta wrote separate opinion dissenting with the majority view that there is no need of seeking leave to appeal in terms of Section 378(3) of CrPC. “In case, I accept the proposition that the victim need not seek leave to appeal in case the appeal is to be filed in the High Court there shall be another anomalous situation. Supposing there are two victims in a case and one of the victims files a complaint and sets the wheels of justice moving and the case is tried as a complaint case. In case the accused is acquitted and the victim who is the complainant wants to file an appeal in the High Court, he will have to seek special leave to appeal whereas the victim who had not even approached the Court at the initial stage will be entitled to file an appeal without seeking leave to appeal. This could not have been the intention of the Legislature.”, the Judge said. Kodagali, a victim of attack filed, FIR. The Sessions court, after trial, acquitted the accused. He preferred appeal before the High court under the proviso to Section 372 of the Cr.P.C. but it was dismissed as not maintainable on the ground that the proviso to Section 372 of the Cr.P.C. came into the statute book with effect from 31st December, 2009 but the incident had occurred well before that date. He then filed another appeal under the provisions of Section 378(4) of the Cr.P.C. This was also dismissed as not maintainable as the appeal was not filed in a case instituted upon a complaint before a Magistrate. He assailed both these orders before the Apex court. The bench also said that decision rendered in National Commission for Women by two judge bench of the Apex court has been misunderstood and misinterpreted and is clearly distinguishable on facts and is was only an obiter not binding upon a three judge bench. It also said that Section 372 of the Cr.P.C. must also be given a meaning that is realistic, liberal, progressive and beneficial to the victim of an offence. It then set aside the High court order of dismissal of appeals and directed it to hear and decide the appeal filed by Kodagali. An appeal lies where the victim is not satisfied by the quantum of compensation awarded. Justice Deepak Gupta disagreed with the majority view that there is no need of seeking leave to appeal in terms of Section 378(3) of CrPC. “In case, I accept the proposition that the victim need not seek leave to appeal in case the appeal is to be filed in the High Court there shall be another anomalous situation. Supposing there are two victims in a case and one of the victims files a complaint and sets the wheels of justice moving and the case is tried as a complaint case. In case the accused is acquitted and the victim who is the complainant wants to file an appeal in the High Court, he will have to seek special leave to appeal whereas the victim who had not even approached the Court at the initial stage will be entitled to file an appeal without seeking leave to appeal. This could not have been the intention of the Legislature.”, the Judge said. The victim cannot be placed on a higher pedestal than the State or the complainant. He also opined that that the proviso of Section 372 should not be read in isolation and should be read along with Sections 378(3), 378(4) of CrPC. “Though the victim may have a right to file an appeal, this right of filing an appeal vested in the victim, cannot be larger than the right of filing an appeal which inheres in the State and the complainant in a complaint case. Therefore, I am of the view that when the victim files an appeal against acquittal in the High Court he has to seek leave to appeal under Section 378(3) CrPC.”, Justice Gupta said.